Fire cider is a spicy, immune-boosting infused vinegar that is traditionally taken in the winter as a cold and flu remedy. The concept is old, but the name “fire cider” was made up by herbal pioneer Rosemary Gladstar in the 1970’s, and published in a copyrighted book in 1994. Rosemary has been a pillar of the herbal community for decades and has taught so many herbalists that her ideas have become part of the common parlance. Fire cider is now a generic term with many recipe variations, produced in kitchens around the world. Since the trademark went into effect, Shire City Herbals has pursued many individuals and small, local companies with threats of legal action and bullying on social media and sites like Etsy, despite claims that they have no intention of “persecut[ing] folks making home remedies and selling their remedies on a small scale” (from the Shire City Herbals blog). Despite their name, Shire City Herbals is not a local herbal company; they have national distribution of their only product, fire cider, and have been called “a small national company working to corner an industry with a single product” by Free Fire Cider. In other words, they are not one of the thousands of companies run by community herbalists trying to make a living doing what they love; instead, they’re doing what they can to destroy the livelihoods of others. There is legal action pending against Shire City Herbals to revoke the trademark as well as a boycott, an online petition to the US Patent and Trademark Office to get the trademark revoked with over 9,000 signatures (please add yours), and many free and fabulous recipes available all over the internet. I really love Mountain Rose’s recipe, and these charming variations from Rosemary Gladstar. The herbal community urges everyone who cares about small-scale local production and an economy of cooperation to make their own fire cider this year! There are as many recipe variations as there are cooks and it’s likely to change based on what you have in the kitchen, but here’s a place to start. If you’d rather buy top-quality fire cider instead of making it, consider supporting one of these small, hand-crafted herbal companies: Herbal Revolution, LaLa Earth, & Good Fight Herb Co.
Based on Rosemary Gladstar’s original, Juliet Blankespoor’s guidance, my family’s taste buds, and the availability of ingredients in December in Vermont. 2. Cover the mouth of the jar with waxed paper or cloth before putting on the lid. This prevents the lining of the lid from corroding due to the acidity of the vinegar. Label with the date and ingredients, and store in a cool, dark place. 3. Shake the jar daily (or as often as you remember). The motion helps extract the medicinal properties more thoroughly. The longer your vinegar infuses, the stronger it will be. 4. Strain in 1-3 months. Pour through a fine strainer or cheesecloth into a clean jar. Squeeze out the last, strongest goodness before discarding. 5. Add ¼ cup raw honey, or more to taste. Take 1-2 tablespoons per day to keep your immune system strong, or 2-4 tablespoons a few times daily as a remedy for colds and flus. It’s very strong-flavored, so dilute in water or honey as needed. Categories: Herbal Apothecary, Recipes | Tags: Fire Cider, herbal medicine, Local Food, Recipe | Permalink. I’ve been following this for a while now (petition signed) and am gobsmacked that they would do this and think it would fly. It’s pretty freaking stupid. I tried to sign but it says it’s closed. Hopefully that means the 10k has been reached!! Just the same I will copy and past your post on my site! Leesa, thanks for the tip. I’ve written to the Tradition not Trademark people to see what’s up with the petition. I welcome this opportunity to introduce myself and address some of the issues around the Fire Cider trademark. My name is Amy Huebner, my brother Brian, my husband Dana, and I started Shire City Herbals in January of 2011. In late August of 2011, after getting all of the pieces in place, we received our wholesale license. I started reaching out to coops, health food stores and cafes in our area. Over the next year and a half, the three of us appeared at numerous festivals, farmer’s markets, conducted in­store demos and made other public appearances. We gave out tens of thousands of samples and introduced our product to the general public. In March of 2012, we started the application to trademark “Fire Cider”. After an 8 month investigation, the USPTO agreed that we were entitled to the exclusive rights that go with a federal trademark registration for FIRE CIDER in connection with tonics. That was over two years ago in December of 2012. Since then, we have continued building our brand and spreading our message. In January of 2014, we noticed that there were a few new listings on Etsy.com of people selling tonics in connection with the mark FIRE CIDER. As is incumbent on all trademark owners, we enforced our rights through Etsy’s trademark complaint process. This precipitated the “trademark controversy” and a protest by a small number of specialized herbalists – not consumers. The herbalists were clearly emotional and confused. They implied that teaching, sharing, talking about or making any variation of this recipe would be illegal. This misunderstanding inspired a very spirited popular movement, which soon crystallized as “Tradition not Trademark”. Fortunately, a trademark can never protect an idea. The trademark has no bearing whatsoever on what was taught, written about, made or shared. The trademark only covers the name, and then only in a commercial setting. If indeed a few other people had referred to a recipe as fire cider, we were the first and only company to use that name in connection with a product sold in interstate commerce, and had been for three years. Rather than correct this misunderstanding, TnT took the fear and anger of their constituents and amplified it. Our three person company was deemed “the Monsanto of herbalism” and a campaign of fear mongering began. In a matter of days, according to TnT, Shire City Herbals had destroyed thousands of herbal businesses; we had removed herbal products off of store shelves; we were seeking out and suing small herbal businesses across the nation; we were a branch of Big Pharma, and our trademark was a dangerous precedent that would erode and destroy the herbal tradition in America. These claims were completely untrue. Sadly, due to the highly charged “breaking news” atmosphere created by TnT over social media, herbalists received these false and misleading claims. Within the Facebook echo chamber, rumors became codified as truth. TnT immediately encouraged their readers to contact our retail partners and demand that they stop carrying our product. Most vexing of all, TnT encouraged small herbalists to launch protest “fire cider” products on Etsy and elsewhere, creating conflict where none existed before. For a documented account of these false claims, here is a detailed list covering the past year. In reality, Shire City Herbals is the only business that has seen its livelihood threatened; TnT made it clear from the outset that putting us out of business was a top priority. Thanks to the TnT boycott of Fire Cider, ours was the only herbal product kept off of store shelves. To complete the irony, TnT is now bringing a legal case against Shire City Herbals. This is the first and only legal action in connection with the trademark, and we are in the position of defendants. TnT has become the very boogeyman that they initially sought to destroy, and community support for their misdeeds has flagged accordingly. It is worth noting that the individuals seeking to legally revoke our trademark hold several trademarks and copyrights on herbal products themselves. Some of these legal protections date back decades, with no notable damage to the herbal tradition during that time. Indeed, their businesses and brands are flourishing. One final point deserves to be addressed. Rosemary Gladstar believes the term “Fire Cider” to be hers, dating back variously to the 70’s, 80’s or 90’s. The accusation is that Shire City Herbals knowingly stole this name from Rosemary in order to take advantage of the popularity of the term. This is a serious claim, and I wish to put it to rest once and for all. First, it was not until January of 2014 that I learned of Rosemary Gladstar. Brian comes from a background of graphic design. I a trained nutritionist (IIN). Dana’s background includes endurance bicycle racing and yoga teacher training. While Rosemary is apparently a popular figure within the herbal community, the three founding members of Shire City Herbals were not a part of that community. We had no formal training, only an obscure recipe from Dana’s grandmother which Dana and I developed and found beneficial to our own health. Secondly, the name Fire Cider was by no means popular. Over the past four years Brian has personally contacted nearly one thousand individual stores, and handed out around 100,000 individual samples of Fire Cider. In these encounters, the overwhelming response to our tonic has been “what is Fire Cider?”, followed by “people actually drink this?”. Only in the past year or so has there been some recognition of Fire Cider, and these instances have all been in reference to our own product. Furthermore, when TnT called for a boycott of our product, Rosemary Gladstar joined in. On many occasions over the past year, she has urged her followers to boycott our tonic. If the only reason people were buying our product was because of Rosemary’s legacy, as the story goes, then surely this call to action would seriously damage our business. In fact, the exact opposite has happened. Instead of withering under the boycott, we have nearly doubled the number of customers and stores that stock Fire Cider over the past year. The market for Fire Cider exists as a result of our hard work and dedication, our excellent product, and our commitment to customer satisfaction. The boycott only served to harass small businesses and split the community. As this fact has come to light over the past 12 months, the boycott and similar actions have effectively ceased. Finally and most importantly, if we “knew” this was Rosemary’s favorite recipe, why on earth would we have “stolen” it as TnT asserts? Why would we have started our business by deliberately trespassing against a respected teacher, thus guaranteeing conflict? This contradicts the character of our business and our history in the community. From the beginning, we have stated that this is an unfortunate coincidence based on a name suggested by a roommate of Dana’s, and a recipe which he learned from his German grandmother. Shire City Herbals has been in business and has used the mark FIRE CIDER in connection with tonic for a little over four years. We have held a trademark on our brand name for over two years. During that time, no one was asked to change any recipe being taught, shared, written about or made. At no point did traditional use of any recipe conflict with our trademark. Tradition not Trademark started one year ago, igniting a conflict over the Fire Cider trademark. During that time, TnT ran a punitive campaign against our business. They encouraged other small herbal businesses into direct conflict with Shire City Herbals, to the detriment of all involved. TnT repeatedly lied to the herbal community. All of this was done, according to TnT, to preserve herbal traditions and the herbal community. I and many others find it impossible to reconcile this statement with the actions of TnT. In contrast, Shire City Herbals has continued to grow and spread the idea of whole foods tonics. In the past year, the availability of Fire Cider has doubled. We have hired three full time employees, offering a living wage and health care benefits. We helped a local farm raise money to build a solar array. We moved our shipping operation to a solar powered warehouse. We removed all plastic from our shipping operation, and now fulfill orders in 100% post consumer recycled boxes with compostable and/or recyclable packing materials. We have invested heavily in labor saving kitchen equipment, which we share with the other members of our community kitchen. We received organic certification from Bay State Certifiers last Spring. This Spring, we are partnering with our community kitchen to help local farms fund and navigate the Organic Certification process. In 2014, we gave out over 400 gallons of Fire Cider in 1/4 ounce samples across the Northeast and beyond. That works out to nearly a quarter million free samples! Shire City Herbals will continue to share our values of responsible agriculture and whole foods natural healing. We will follow our principles of community service and responsible growth. The trademark has afforded us the confidence to pursue our goals on a national scale. I welcome any further questions that you may have. 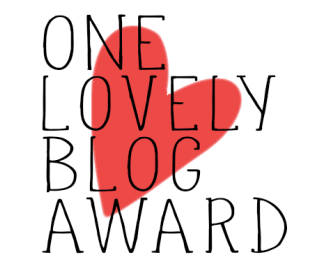 Okay, that was an excessively long comment on my tiny blog. Thank you for sharing your perceptions–and it’s great to hear you pay a living wage–but I can’t help but feel that some of your defensiveness stems from a guilty conscience. I appreciate the emotional nature of this situation for you, so I will excuse your aggressive internet-trolling behavior and dissertation-length comment (really, outside links?) by chalking it up to emotional distress and confusion. I’m not in the same boat: I’m not financially invested in this issue; I don’t have a dog in this fight. 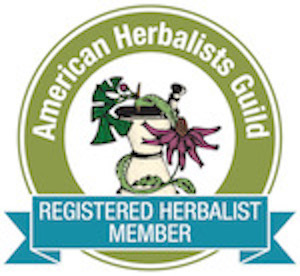 I am simply a member of the herbal community outraged at the bullying of my colleagues. One of the things I love about herbalism is its grassroots tradition: any of us can do this, and we can all do this—and the more of us who engage in learning about and caring for our own health, the richer our community becomes. The remedy industry is rife with duplicates: everyone sells a sleep formula, bitters, an anxiety thing—and we do it without demanding that everyone else stop. You can make a calendula salve and I can make a calendula salve and so can the lady next door, and we should not be pressured by some company to start calling salves “spreading medicines” because someone’s dentist’s sister-in-law’s cat could swear they made up the word during a scrabble game in 1912. Obviously you weren’t expecting such a strong grassroots response to your company’s aggressive use of government paperwork, but as you say, you aren’t herbalists, so maybe you simply missed the significance of what this means to us. I’ll be clear: it feels like theft. Claiming ignorance does not excuse it. I have watched friends and colleagues be hassled in the name of your trademark since this whole thing started, tiny homegrown remedy businesses with no significant market share to compete with a national company like yours. Despite your claims to the contrary, you have directly pursued and damaged their businesses—and yes, on the scale that these businesses operate, Etsy matters. Forcing them to change their product names or risk litigation is harmful to real people. Let’s clarify, because I think you have misunderstood: you are not the little guy, the underdog, or the beleaguered small-town business. You are the big guy, with the national distribution and the threatening letters and the lawyers and the bullying. How many of us have known bullies who get their feelings hurt surprisingly easily? You are not being persecuted. This is not a witch-hunt. You’re simply offending our community’s ethical code, damaging the income of people I know personally, and opening us up to a snowball of big companies claiming they invented our staples. I’m sorry to burst your bubble on the provenance of fire cider, but it’s a thing, a well-known thing made by thousands and widely sold by herbal cottage industries and kitchen businesses. It’s like trademarking “jam” and then getting self-righteous when everyone who already sells jam is angry. It was already a thing, even though the patent office hadn’t heard of it. Being the first to trademark something doesn’t make it your invention; it simply means you’re the first to claim ownership to the government. If you really want people to stop being angry at you, a good first step might be to recognize that you realize now that you did not reinvent a well-known recipe by the same name in an absurd string of coincidences—the continued insistence that you did comes across as infantilizing. As far as Tradition Not Trademark changing info on their website, updating information based on a changing situation over time is valid. Last winter you announced that you were going to work together with the community to resolve this, and not be hunting down small herbalists—before you proceeded to hunt down small herbalists and ignore the cries of the community. That seems more dishonest than misunderstanding what a “cease and desist” letter is. For you to start an industry-wide fight and then bemoan your persecution is hard to take seriously—as my mother always said, “If it’s everyone else, it’s you.” Tradition Not Trademark and the many people who support it are not out to get you from a personal vendetta, as your letter implies. They want you to stop actively limiting the long-standing work of our community members. The message is: we can all do this, there’s space for everyone. And when it comes down to it, there is, which is why we haven’t had problems like this in the past. Herbalists and local food folks are not a close-minded set. If you are feeling persecuted by strangers, stop persecuting strangers and try instead to act like a member of a larger community—we’d probably welcome you with open arms. Shouting the loudest doesn’t make you right. It’s okay to admit that you made a mistake and apologize. I’ve been making fire cider since 2009. It was amongst the first herbal medicines I’ve made. Trade marking it is a ridiculous idea. Instead of being hurt that people are mad at you for doing so apologize and move on. Being defensive is never a constructive response to being called out. A simple Google search at any time would have easily turned up Rosemary’s name and her recipe. I agree, extremely defensive for someone with nothing to prove. Not quite as innocent as you would have us believe. Shire City Herbals ~ Your response is the same one over and over again. I have watched your response evolve since this whole thing started. One of the big issues I have is you story about the name Fire Cider. You give all the reasons why you could not have known that Fire Cider was a common name for this herbal blend. But you seem like smart business people. Are you telling me you never once Googled the name Fire Cider? I mean really, not one time? Because I do find that very hard to believe. The first thing I do when I think of a name for one of my herbal products is check the internet. So you are saying not only did you NOT check the internet when naming your product, but you did not do any research before investing in a trademark!?!?! WOW I am amazed you are as successful as you have become. Boycotting products, contacting businesses that carry the products and boycotting business when they continue to carry them is pretty standard protesting measures. It happens all the time. I am so happy that you are personally responsible for bringing herbalism to the people because gosh without you folks who would have known. Do you realize that is how you sound? I can guarantee you that we as an herbalist group have given out more than samples of Fire Cider than you can even imagine. You do have us on a big point. Most of us are not trying to grow a multimillion dollar business. We are local healers, working in our area which can be locally or regionally. Some of us have small on line herbal businesses. We are not trying to mass produce herbal products like you. We try and support ourselves and our families. We do not want employees or factories to produce in. When someone like yourself jumps in and decided that you have the right, to take one of our medicines from us it just doesn’t fly. Yes you took the name of a herbal product and trademarked it for yourself. No most of us don’t have thousands of customers but we do have customers. They know the name Fire Cider and they know the product we make by that name. We had bottles made up and money invested. Like I said we don’t have warehouses and employees. Most of us can not afford to redo bottles. update websites and reeducate our customers. You have hurt hundreds of small businesses so please do not try and act like the only ones injured ones. Here is what I do know. 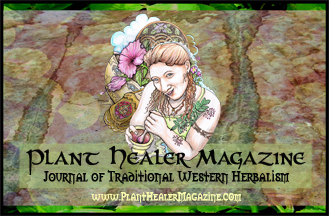 My concern and that of many herbalist I know is simply the trademarking of tradition. Now before you lose it I am not referring to the group. I have an issue with a herbal remedy, a peoples medicine being trademarked. In this instance a name. Fire Cider that has been used in the herbal community for decades. Did you, Shire City, go through the right legal channels and get a trademark. Yes you did. Does that mean our government was correct in issuing that trademark. No I do not believe it was. But then again our government can be wrong on a lot of things. I find it hard to reconcile as do many others, who you claim you are with how you have handled this situation. I remember seeing the letter Rosemary sent you asking to talk about what happened. In short you refused. She was trying to find a way to work this out and you folks would not budge or talk with her. It was simple we have Fire Cider trademarked – tough. So I do have an issue with you being the victims. What I see are 3 people who found a herbal remedy, came up with a great marketing spin and ran with it. You have hurt many true small businesses. But hey I give you props on being good spin doctors. Fire cider for the people!! The lady doth protest to much, me thinks. Patty!!! I had exactly the same thought. For interested folks: if you want to buy fire cider instead of making it, I added recommendations for a few companies I support, between the article and the recipe. Thanks for reading. Amy, you have the same story you keep repeating and in it, you seem to forget, though we have not, how very earnestly all of us spoke to you, supporting you and your business, encouraging you, and simply asking that you reconsider your name–what you have asked of many, many others, we asked of you–and you refused. We offered MANY different variations, we explained what a treasured name it was in our tradition, we tried SO HARD to work with you. And you refused. Even Rosemary, at the beginning, tried to work with you, was gentle. Was everyone gentle? No. But then, you had some pretty huge assholes on your side, too. It happens. I was there. I read every comment, and i commented myself. You had SO MUCH SUPPORT from our community, and you squandered it. This could have gone very differently. It was in your hands–all you had to do was acknowledge our tradition, and show some respect. This is YOUR doing. Man, I’m getting tired of your whining. Posting this on my page, where you’ve shown up and complained. And also on other pages. How DO you find the time to troll all of our sites? Amy, obviously you and your group will not change your mind with anything posted here. I can only say that when you take something from the public domain like this traditional remedy recipe and trademark it, you may be successful for a brief period and feel that you justified in your business acumen, but in reality, you will not gain, only hurt yourselves and the greater public. Your defensiveness already tells me that you are in trouble, psychologically speaking. Reblogged this on Airmeith Naturals. We will continue to teach how to make fire cider as it was taught to us in the late eighties. We will also continue to call what we share “Fire Cider” as that is how it was shared with us. Amy, you and your partners created this whole bloody mess….it could have gone differently, you had the man chances….but you were not open to the ‘slight’ adjustment of your product name…all you simply had to do was add ‘Shire City’ in front of Fire Cider and all would have been fine. In fact, it was an even BETTER name because it it had a nice ring to it….but NO, you wouldn’t budge, being stubborn and righteous. Now you have this nasty, negative controversy that will follow you for the rest of your days. Karma. Interesting that he used the term “OUR OWN BLEND of fire cider.” Also interesting that it wasn’t until March of 2012 that they started the application to trademark the term, four months after commenting on this recipe. Clearly the term “fire cider” was well known to them at the time of application. I am a recent reader to what has happened to “Fire Cider”! I am thankful that Amy from Shire City wrote her comments. I had no idea who these people where . Thanks for sharing because I have a clearer picture of you all and how you operate. I will do everything in my power to spread the word on your “UN” integrity !!!!! I don’t feel sorry for you one bit! You are steeling our very own ROOTS!! You say you got it from your Grandmother…… Wellllllll !!!!! So did the rest of us!!!! You Shire City people DON’T belong in the HERBAL Community if you continue to claim this yours. You are disrespecting many OLD and WISE SOULS!!!!! You are immature in your beings if you think you can take away from so many other people. Instead of apologizing to these elders you are acting justified and SUEING people. With that aditutde … I hope your business fails in a big way!!!! It’s like you are SLAPPING my own GRANDMOTHER!!!!! And I think others feel the same way. Why do you think thousand of people are Mad at you all? You all have made a mistake with trademarking the name FIRE CIDER !!! LETS see you all CHANGE the name!!!!! Instead of suing our Mentors! Our teachers! Ours own ROOTS!!!!! You drop this or forever be labeled as …….Selfish , self-centered , businessmen ( in a bad way) who are rapeing the Earth people. Your actions show that you don’t Care!!!!!!! If you don’t stop thinking in dollars and Change your trademark you are saying you are ready for a fight! You all look so young on your websites or like you don’t know Herbs at all! So I understand WHY you didn’t know the ways of Herbs or their ROOTS! But this is NO EXCUSE to continue to ABUSE !!!! These beautiful people who have taken care of many more people in the person then you all will ever shake hands with. If you don’t like being HATED by HERB PEOPLE !!! !……then STOP you SELFISH act! I am a consumer – not an herbalist. I’ve never met any of the people on either side of this issue. As I read both sides, I have to agree with what someone called, “the earth people.” Amy, objectively speaking, I see that you are disingenuinous. In order to obtain a trademark, you are required to do a name search to see that no one else uses the name, according to the USPTO. I can’t help but think that you deliberately disregarded those who have previously used the same name for their product because you were anxious to corner the market on something you thought you could make some money. I also believe that you intentionally took advantage of the government’s ignorance. Admittedly, I hadn’t heard of Fire Cider before reading about it in context of this matter. As I looked into further, it became clear to me that your corporate mentality is railroading this issue for your own benefit. I don’t believe for a minute that you are genuinely interested in herbal remedies for the sake of making the world a better place. If you were, you’d be more interested in the herbalist community, open to what they offer to you so that you can share the wisdom of many. It seems to me that this is a matter of money, marketing and profit. I see a false mask of benevolence. It doesn’t make sense that you wouldn’t consider changing the name of your product to Shire City Fire Cider. It is a logical solution. It doesn’t make sense that you turn your back to the herbalist community when you sell herbal tonic. It would be logical to network and build a relationship with herbalists who know more than you about herbs. Acknowledging traditions and others where acknowledgement is due is a sign of integrity. I’m not seeing it. I’m not buying your story. Don’t you know that if you broadened your network and acknowledge your place in the big picture, you would build trust and respect in a larger market? You don’t own tradition. Accept it. Embrace the world you invited yourself into. Another thought to consider: putting the name of your business in front of your version of Fire Cider would brand your business as well as your product. Just saying. And on top of all that, trained as a “Nutritionist” ? by IIN ?? No way does IIN train nutritionists. That is a protected term in the U.S. and you don’t get to use it just from finishing the IIN Health Coach program. Please do not degrade either IIN or Nutritionists by exaggerating your education level. I thought that the reason we each make are own Fire Cider was so’s to have are own wild herbs and there for it was native to are bodes. So each can work with the land a round us each, of us with out side affects from, it. Love this!! I am a self taught yet getting educated in herbalism and thought I learned a lot in 25 years but really there is s never ending learning curve with herbs and mushrooms and Elixer’s and tonics and teas and Kombuchas and kefirs and meads.. thanks so much for sharing the legendary Fire Cider…. May the teacher and student continue to grow..